On Saturday, July 19, 2014, we had a wonderful time training two coast dental offices on implementing dental sleep medicine into their locations. What a wonderful time teaching the first Class 1 (3 part Mini Sleep Residency) at the Atlanta Sleep School. Dentists were exposed to hands-on and didactic material to get them ready for identifying and treating non-complaint CPAP patients with oral appliances. Also, dentists were exposed to managing side effects and complications that may present with oral appliance therapy. Thank you Class 1 of the mini residency. Class 2 will begin in September 2014 in Dallas, TX. 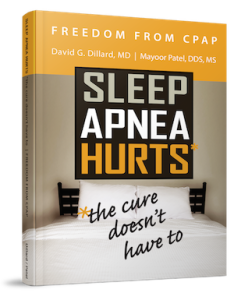 Dr. Patel's mission is to help dentists better understand the areas of Craniofacial Pain and Dental Sleep Medicine so they can effectively treat their patients’ symptoms. Copyright 2019 © Mayoor Patel DDS. All rights reserved.